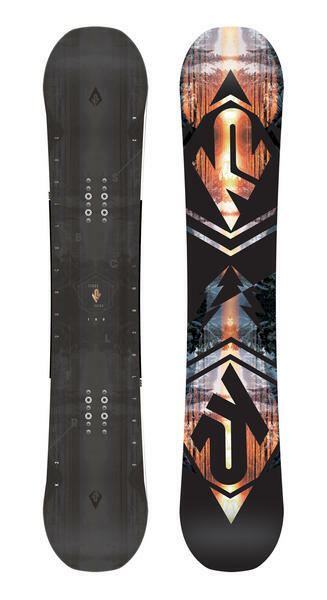 The K2 Subculture is an accomplished all-mountain snowboard loaded with tech, resulting in great value for money. Featuring K2's Lifted Precision Baseline (achieved by raising the flat profile between the feet) the Subculture has the pop of a cambered board while maintaining the neutrally weighted contact points that give you the straight tracking, effortless precision of a flat board. The ride of the board is enhanced by Ollie Pop, a pre-loaded carbon bar in the middle of the setback true twin shape. Carbon web extends beyond the contact points supporting to whole of the tip and tail when landing the big jumps. Once again you have it all in one board for riding the piste and mountain. Carbon Web - Extending out beyond the contact point boosting feel and energy return.